US equity indexes closed on a positive note, sp +17pts (0.6%) at 2755. Nasdaq comp' +0.6% at 7375. The two leaders - Trans/R2K, settled +1.0% and +0.5% respectively. 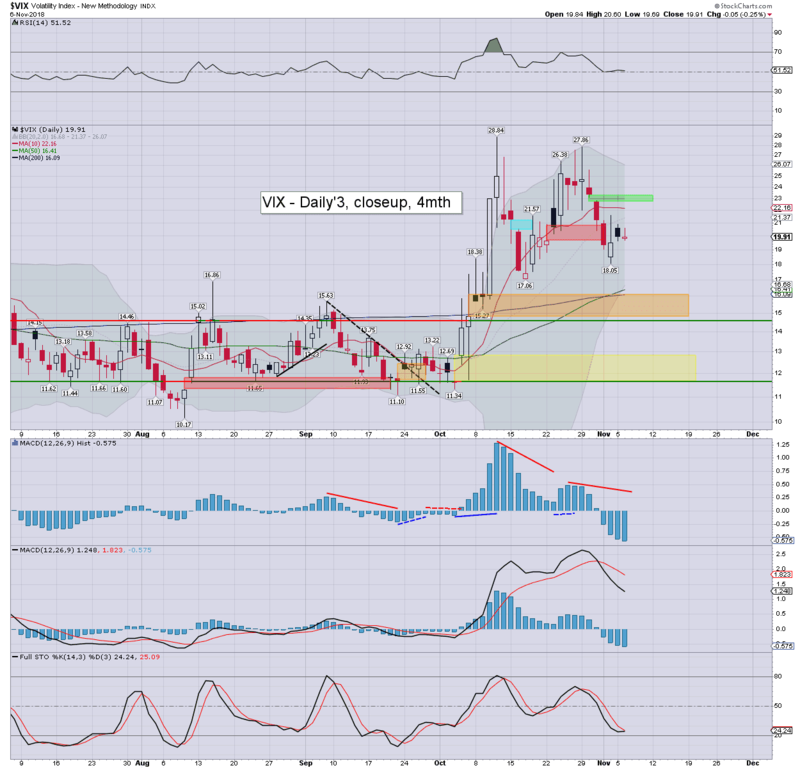 VIX settled -0.2% at 19.91. 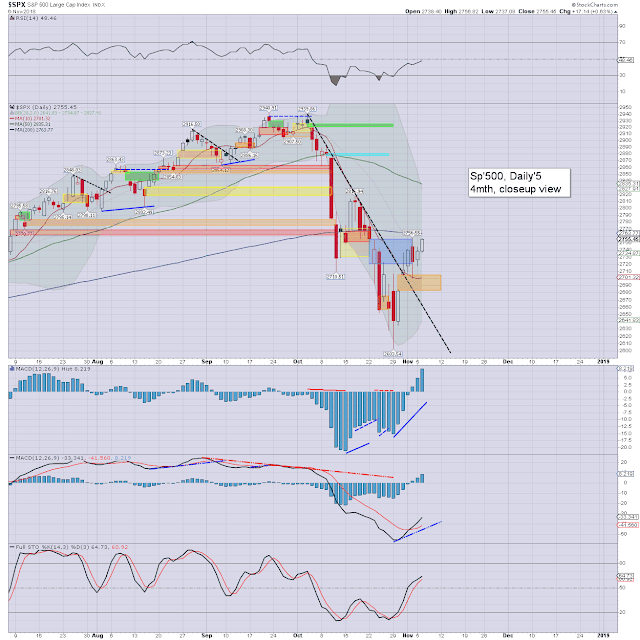 Near term outlook offers a post election washout to the sp'2690/80s, before better opportunity of the 2770/2810 zone. It was a day of moderate swings, seeing a low of 2737, but then battling upward into the close, settling at 2755. 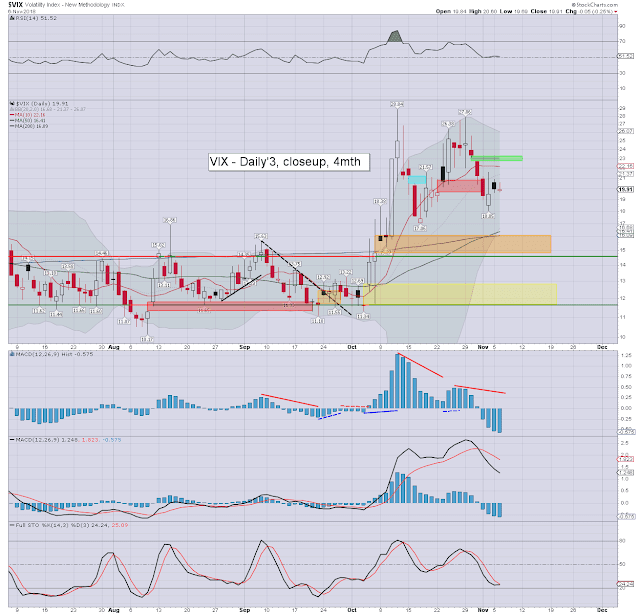 Volatility was itself subdued, settling just under the key 20 threshold. S/t outlook offers a spike in the VIX, with some equity cooling. More broadly though, the sp'2800s with VIX in the mid teens is due. We're only four trading days into the month, but its notable that the DAX is currently +0.3% at 11484. 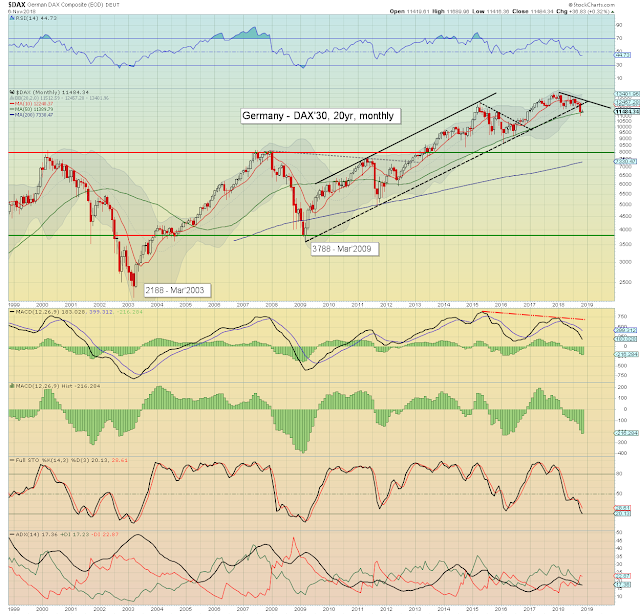 The index/market is m/t bearish, having lost the l/t trend from the 2009 collapse lows. 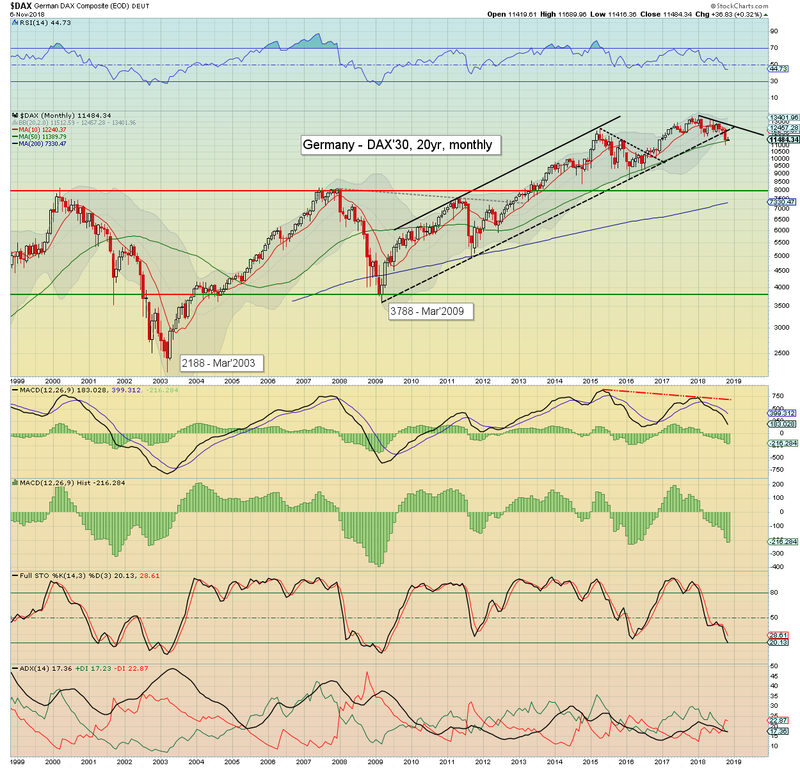 Its very difficult to see the US market breaking new historic highs if German equities don't recover. For the non-subscribers out there, you will be able to follow my semi-coherent ramblings across the day. It should be interesting, as we'll have the market responding to the midterm election results. 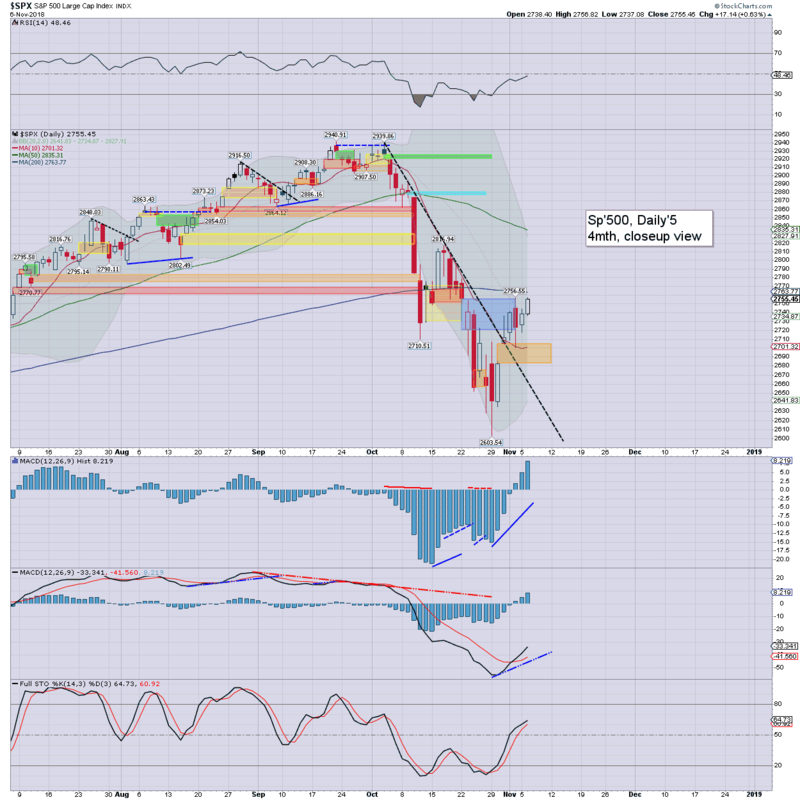 First post: pre-market brief, no later than 8.30am eastern.